The UK’s Prince of Wales and the Duchess of Cornwall, at a stopover across the border during the couple’s two-day visit to Northern Ireland. 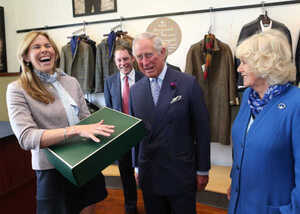 Charlotte Temple, boss of Magee tweed outfitters shares a joke with with the Royal couple..
Posted in Misc and tagged Irish Dancing, Prince Charles at 5:23 pm on May 25, 2016 by Broadsheet. The UK’s Prince of Wales and the Duchess of Cornwall, at Donegal Castle during the couple’s brief visit to Northern Ireland. I realise that most writers for Broadsheet rarely venture beyond Stoneybatter or Portobello, but Donegal Castle is not in Northern Ireland. Yeah it is, it’s likes the Northiest part of Ireland ye dzzzope. Sorry Paddy M, fixed now. Thank you. Neither is the lavish holiday homes owned by prominent republicans from West Belfast. You missed that bit? I think that bit is called a non-sequitur. In your humble opinion obviously. I don’t see where there was any mention of Shinners’ holiday homes in the original post, but feel free to imagine that there was if it makes you feel better. I’m glad you made that distinction. I was wondering if that was the Estonian Prince of Wales and the Costa Rican Duchess of Cornwall. You’re the simpleton as there is more than one Queen. Only the insecure need the clarification. Donegal be in the south, even though it be in the north if know what i mean. 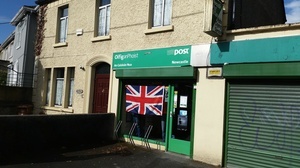 But it would like to be in the north of Ireland, even though it is in the north but still part of the south. 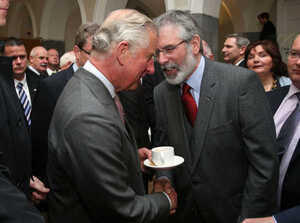 Ehh, feck it, welcome to irish politics northern style. Just like the weather up there. What do you mean it ‘would like to be in the north’? Based on what? All the FF & SF pols…? It’s quite simple really. Ulster is more than Northern Ireland. Northern [part of; province of] Ireland would have been Ulster before partition. 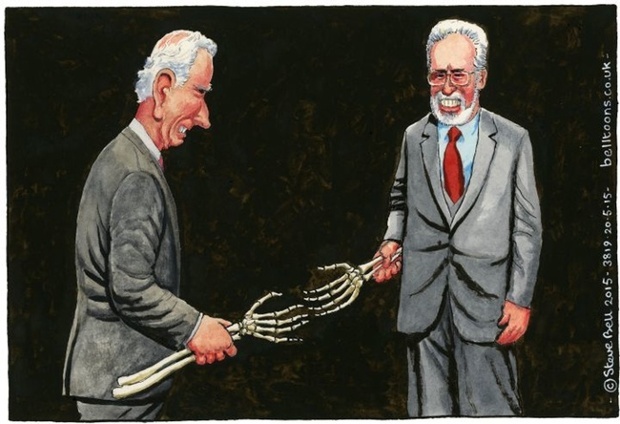 Add to that those growing up in, say, Donegal in the 20s to 40s would have experienced this cross pollination of new official six county Northern Ireland on top of old, and or or colloquial variations of the same region(s) through their parents and their own experiences…… and so it goes…. The butcher (not a paramilitary nick-name) of Donegal Town, ironically designed a new sausage to commemorate the royal visit by naming his tasty treat as ‘The Buckingham Palace Banger” (clearly the butcher had given much thought to history? ).